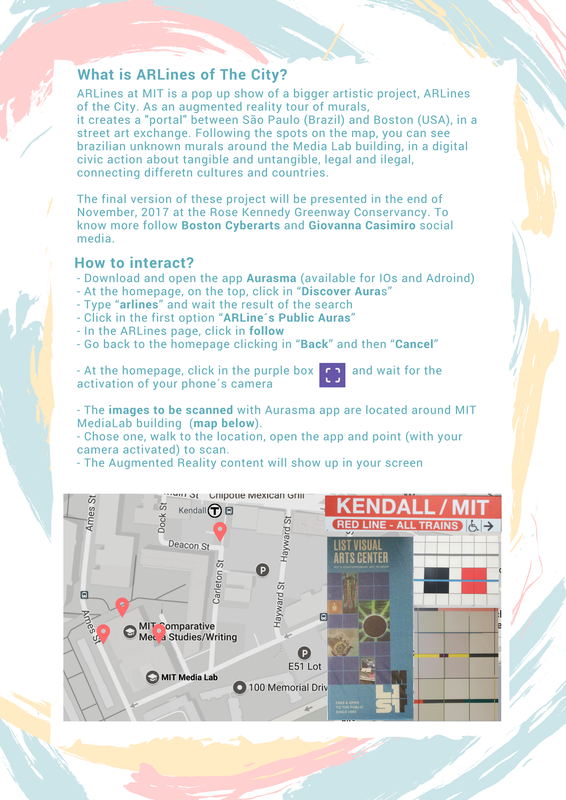 Augmented Reality public art created for the Hacking Arts 2017, this is a pop-up version of a bigger project approved by the Arts Boston Committee, under advisement of George Fifield and the Boston Cyberarts. 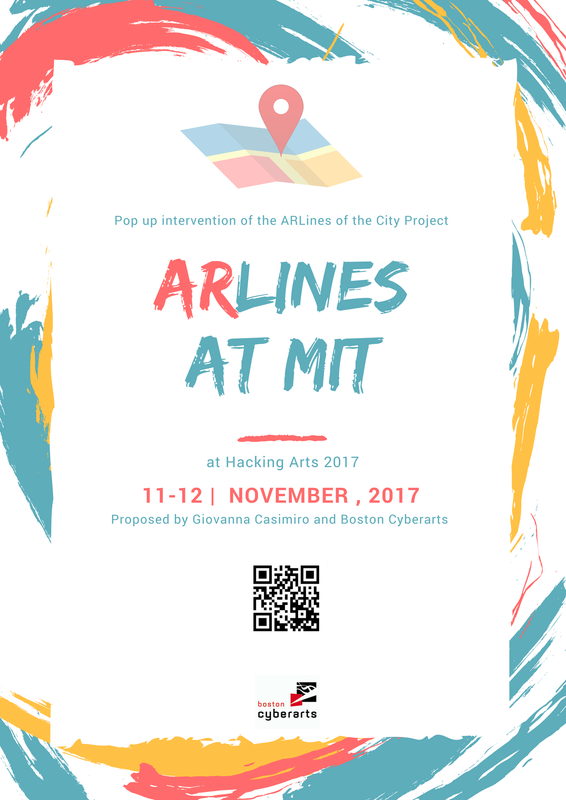 ARLines of The City is a big research about the dissolution of territories trough mixed reality experiences and street art between countries. The intervention created for MediaLab, installed anonymous 4 gratifies from São Paulo, visible with Augmented Reality. The bigger version of this project will be on the Greenway, at Boston, showing an interactive tour, trough visual experiences, connecting two different cities.